Adam Smith (1723–90) is perhaps best known as one of the first champions of the free market and is widely regarded as the founding father of capitalism. From his ideas about the promise and pitfalls of globalization to his steadfast belief in the preservation of human dignity, his work is as relevant today as it was in the eighteenth century. 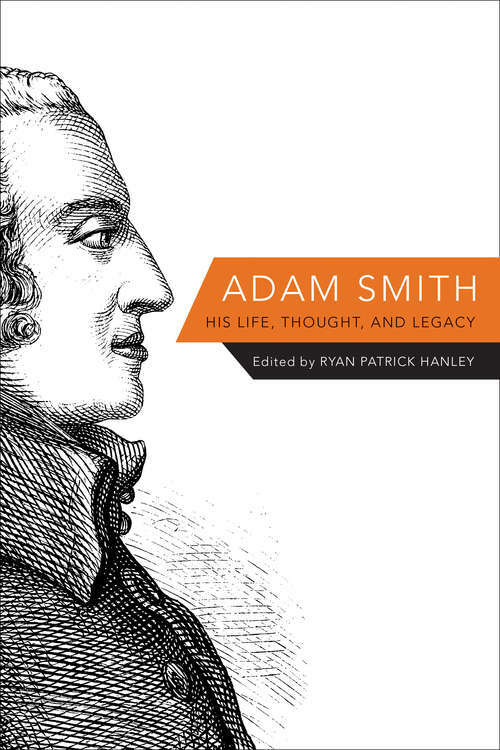 Here, Ryan Hanley brings together some of the world's finest scholars from across a variety of disciplines to offer new perspectives on Smith’s life, thought, and enduring legacy.Contributors provide succinct and accessible discussions of Smith’s landmark works and the historical context in which he wrote them, the core concepts of Smith’s social vision, and the lasting impact of Smith’s ideas in both academia and the broader world. They reveal other sides of Smith beyond the familiar portrayal of him as the author of the invisible hand, emphasizing his deep interests in such fields as rhetoric, ethics, and jurisprudence. Smith emerges not just as a champion of free markets but also as a thinker whose unique perspective encompasses broader commitments to virtue, justice, equality, and freedom.An essential introduction to Adam Smith’s life and work, this incisive and thought-provoking book features contributions from leading figures such as Nicholas Phillipson, Amartya Sen, and John C. Bogle. It demonstrates how Smith’s timeless insights speak to contemporary concerns such as growth in the developing world and the future of free trade, and how his influence extends to fields ranging from literature and philosophy to religion and law.